New information has come to light about a major drugs operation, run by MI6, which had to be scrapped in 2006 after an intelligence agent lost a USB filled with vital information. Know as 'T', the officer left the USB stick in her handbag, which was inadvertently left on a bus in Mexico. Not only did the mistake call for the million-pound drugs investigation to be scrapped, but put lives at risk, including those of informants and officers working on the case. It was so serious that anyone mentioned on the USB was relocated, in case the memory stick fell into the wrong hands. 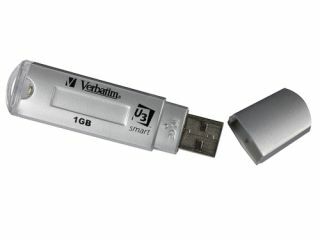 Even though the loss of the USB dongle happened in 2006, the Serious Organised Crime Agency (SOCA) only revealed the data breach last week. According to Vnunet, since then SOCA has apparently established a standard data handling procedure and not lost any data since. We'll see if this is the case in three years – the time it took for agent T's forgetfulness to come to light.